This Speaker Kit page provides links to images and some bios for you to use as is – or adapt to your needs. You can downland photos from the links below. Feel free to take from my About Me page or my LinkedIn summary (which is available in languages other than English). I’m also happy for you to take parts from different bios and combine as you require. Doug Lawrence (BSc. Hons., MBA) has 20 years’ experience in the translation industry, and international sales management experience in Germany, Ireland, and the US. In 2006 Lawrence founded Amicus TransTec Limited, which supplies services and software to the professional translation industry. Lawrence is a qualified ISO 9001 and BS EN 15038 (Translation Services) auditor; he is also a Principal UK Expert for the British Standards Institute Committee for the International ISO TC 37 standards group. Lawrence is a sessional lecturer on the Master in Translation Studies at Aston University, and was the Instructor for the ITSE 6083 Managing the Sales Process programme for the Austin Community College Texas, USA. As a West Midlands Business Language Champion, Lawrence visits schools encouraging pupils to study languages. With over 2 decades of direct international selling experience of services and technologies Doug Lawrence helps organisations grow internationally. He has sales trained sales teams from across the globe to excel internationally and helped organizations large and small to create a world-class global web presence. Doug Lawrence’s success in helping organisations grow internationally is grounded in over 2 decades of direct international selling experience of language services and related technologies, and his interest in languages, cultures, and travel. His background includes international selling and management, training, consulting, speaking globally, and post-graduate lecturing. As registered UK Government Export Communications Consultant he has helped over 1,500 exporters improve their international web presence through the Export Communications Review service and delivering Web Optimisation for International Trade workshops. As a freelance Common Sense Advisory Associate Analyst he provides research input to sales related reports, quick takes, webinars and workshops. Doug is a sessional lecturer on the MA in Translation Studies and MA in Translation in a European Context at Aston University, UK, and a visiting lecturer to other Universities. During 2006 he founded Amicus TransTec Limited, an independent translation technology consulting company. 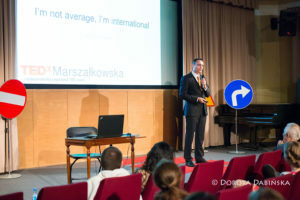 In 2007 he then went on to create the translation industry’s leading sales training programme Selling Translations®, which has been completed by thousands of professionals from over 120 countries. He is a translation industry advocate, working to raise its profile and promote its value with translation buyers, providers, educators, and governments. He encourages children to study languages having been a Business Language Champion, a member of the Regional Advisory Board for Links into Languages, and a frequent visitor to language schools, language clubs, and universities when he travels internationally. Doug Lawrence (BSc. Hons., MBA) has 20 years’ experience in the translation industry, and international sales management experience in Germany, Ireland, and the US. He provides sales and marketing training to translation providers and helps exporters grow their international revenue through sales consulting, and optimising their use of languages and web presence. He is a translation industry advocate, working to raise its profile and promote its value with translation buyers, providers, educators, and governments. Doug has over two decades of experience in the language services industry. His specialties include sales tactics and strategy, web presence internationalization, and translation memory implementation. He is a lead facilitator for Common Sense Advisory sales workshops, and his research contributions include reports on translation sales management and market segmentation. In addition to his work with Common Sense Advisory, Doug works closely with the UK government to support British exporters. He has held senior sales roles at three global LSPs and was the worldwide director of sales to LSPs at Trados. As a visiting lecturer to several universities, Doug works with post-graduate students to help them start their career in the language industry as well as speaking at schools to encourage children to study languages. Doug has a MBA and a BSc degree in computer science. He is a UK expert to ISO TC/37 and a certified ISO 9001 internal auditor. Doug speaks basic Russian and German, and has worked in over 40 countries. Selling Translations® was created by Doug Lawrence a 20 year veteran of the translation industry who has sold translations and translation technology across the globe and trained more than 6,000 translation professionals from over 120 countries in sales and marketing. As a freelance CSA Associate Analyst Lawrence provides research input to sales related reports, quick takes, webinars and workshops. Lawrence is a consultant lecturer on the MA in Translation Studies and MA in Translation in a European Context at Aston University, UK, and the ITSE 6083 Managing the Sales Process Instructor at Austin Community College Texas, USA. He is also a Business Language Champion visiting schools to encourage children to study languages, and is on the Regional Advisory Board for Links into Languages which provides support for language educators. Lawrence is a UK Principal Experts to ISO TC 37 (SC 3 and 4) and a qualified ISO 9001 Lead Auditor. Lawrence (BSc in Computer Science, MBA) is an associate member of the UK Institute of Translation & Interpreting, and a member the UK Institute of Sales & Sales Management. Doug Lawrence is a sessional lecturer at Aston University, he provides sales and marketing training to translation providers, and helps exporters grow their international revenue through sales consulting, and optimising their use of languages and web presence. Doug is a Supporter member of the ITI. Thank you once again for your valuable contribution to the NGTV anniversary congress NGTV and for your flexibility. Specifically about your presentation, we have received compliments like: “nice and informative”, “very useful”, interesting and entertaining”, “super!! !”, “very nice, charming speaker” “experienced speaker”, “interactive and educational”, “funny”. Most people have assessed your presentation by giving the numbers 4 (“good”) or 5 (“very good”).